Smoothing out Mexico's rough spots. Just how much does it Cost to Cool a Room in Mexico? Labor Law for Household Employees in Mexico – What must we pay? What should we be doing? Summaries of US Tax Laws Affecting Citzens Living Abroad – TAX TIME 2013 ! Baby Boomers: Retirement? Sufficient Savings? Their Likely Effects on Mexico? Can We Cut US state, local, and federal deficit spending? Higher Airfares, Gasoline Prices, and Shipping Costs Driven by Demand or Speculation? What’s Going on with Oil Prices? Economic Recovery? The US Role in Worldwide Stagnation. Dengue Fever Information: What to Do? Killer Whale Genetics – Who’s Tastiest? Spanish Phrases to Use in an Emergency! Considering Adding a Pressure Pump (Hidroneumatico) to Your Gravity Feed System? Mexico Driving: What would you do? 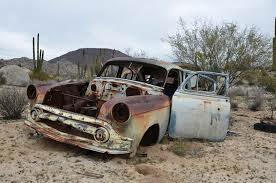 May 23, 2014 Has your Yucatecan car been running a little pooch-ey this past month? Magna gasoline has caused problems for many Merida cars this past month, as over 2,000 PROFECO complaints have been filed over Magna ruining fuel pumps (recent Milenio report) and over 700 local Toyotas affected. Our mechanic-friend Eduardo Perez (Mechanico y Llantas Itzimna 999 144 41 23 ) describes having to replace 23 fuel pumps over just a 2½ week span in late-April to early-May, as they seized up from brown gunk. 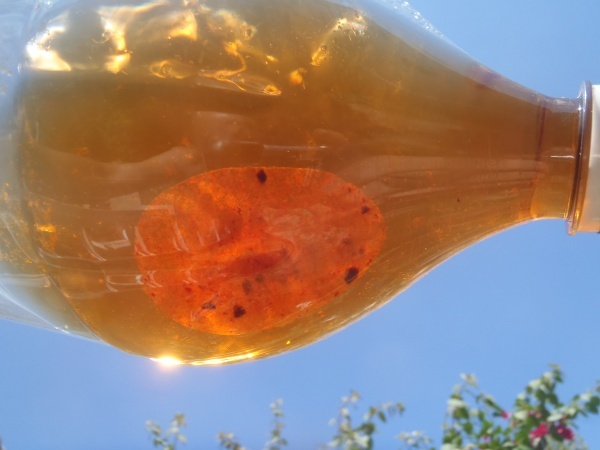 Eduardo, Yucalandia, and various UADY scientists suspect that PEMEX changed some additive(s) in April, and that additive fouled fuel pumps with sticky gunk in our hot Yucatecan weather. Note: PEMEX Yucatecan gasoline likely comes from Mexican refineries, while Norteños get their PEMEX gas from Texas & Louisana refineries => not necessarily the same product. One tried and true method that ordinary folk can use to check out gasoline is to buy a little and store it in a somewhat transparent container. I bought 2 liters on about April 29’th, and let it sit in this clean container for just 2 weeks. a nasty brown thick sticky residue separated out at the bottom. Imagine this in your fuel tank. What’s a car owner to do? … this latest problem of sticky brown gunk separating-out and damaging our fuel pumps, is just the latest round of PEMEX gasoline quality issues. … If you want to complain formally – send PROFECO an email at ~ denuncias@profeco.gob.mx ~ or ~ acercate@profeco.gob.mx ~ .. or Contact their FB inbox ” Consumidor Inteligente ” . Better solutions: BG products are the best (but not available here), Chevron Techron products like their “Fuel System Cleaner” or “Injector Cleaner” work excellently and were the first fuel additives approved by Mercedes & BMW. Lucas cleaner (shown below) also works well in our experience. The additives sold by PEMEX have not worked well in our experience. Feel free to copy while giving proper attribution: YucaLandia/Surviving Yucatan. Read-on MacDuff . 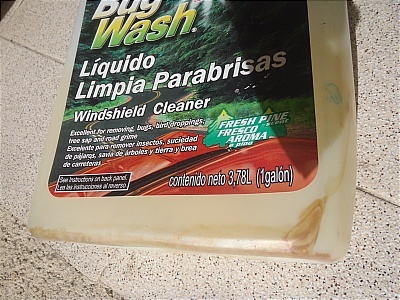 . .
Before leaving Merida on 4/24, I added the Lucas product (which is a blue liquid, if I recall correctly) to our tank, as stale gas is always a concern for vehicles which sit unused, especially in hot climates. Perhaps I should bring a new fuel filter with me, as that is the typical bottleneck; and the supply could be short. I number of years ago I filled our VW Camper with Mobil up north which was full of gunk. What a mess. A few miles down the road, after leaving that station, the engine began to sputter. Major trouble. Major expense. And total denial from Mobil. This is probably a problem from the local gas station, not at the Pemex plant. Local vendors sometimes do not have clean tanks. Your perception of it being a local-station-problem is just not supported by facts. The 8,000 recent PROFECO complaints, and the 1,000’s of fuel pumps failing recently are almost certainly due to problems at the PEMEX plant. The brown residue crap that has ruined 1,000’s of fuel pumps during a 2 week period, from stations across Merida, simply cannot be due to some water or sediment in a few poorly maintained local station’s tanks. Please read the article. Look at the pictures of sticky brown ORGANIC residue. Sticky brown ORGANIC residue appearing recently for 2 weeks, in all our local PEMEX gas, does not come from a local old or poorly maintained tank. As described above: Alcohol is exactly the wrong thing to tell people to use at this time. As a chemist, I assure you that alcohol causes the very dirty water layer (a layer that accumulates over-time with pretty much every PEMEX fillup) in our tanks to be FULLY ABSORBED into the fuel, contaminating the fuel pump and injectors when you add the alcohol. Best to NOT use alcohol – and leave the nasty-watery-layer intact – not getting into your fuel pump. Lived in the Yucatan for 5 years and consistently used injector cleaner and never had a problem, maybe I was just lucky. I regularly use injector cleaner in the states as well. Have also found that using 89 octane rather than 87 makes a big difference. This time around is special – hitting 10,000’s of vehicles – that used Magna. Did you use fuel system cleaner in every tankful? The octane rating likely has nothing to do with the problem. Their higher octane gasoline ALSO has different additives, and it is the additives (not the octane) that is the issue. Premium has different additives than Magna. Magna’s additives were the problem – and apparently PEMEX has eliminated the problematic additive, and the crummy gas with the bad additive seems to have been used up (emptied out of the tanks) from the busy PEMEX stations. Count me in for a fuel pump as of about a month ago, Ford F150 was running fine, then not so good, then Nada. Had to replace the in tank fuel pump, mechanic said it was contaminated with sludge and I was number 6 in his shop that day for a pump. My wife’s laboratory group had both Ranger pickups (80,000 km) fuel pumps fail within 2 weeks of each other – during the recent peak of this “crisis”. My Ranger is slowly recovering with each bottle of fuel system cleaner. Interesting. A cousin told me long ago that he recommended using Premium because they had problems with the Magna. Well, my Sienna is recommended to use Premium anyway. Some months ago, I was digging around on the Web, and found a page which insisted that Premium was produced and had additives put in in Houston, and Magna was also produced in Houston but got its additives in Mexico, which is certainly different from your reports. Where is Magna refined and where is Premium refined? The answer is “all of the above”. Mexico’s gasoline is refined in: the Houston area refineries, the Galveston area refineries, some in Louisiana refineries, and some in Mexican refineries. According to friends who worked as petroleros (out of Houston), there has been no single absolute sole answer to your question of where Mexican Magna is refined vs. Premium. Years of PEMEX’s public reports definitely show some Premium being produced in Mexican refineries. There’s been a frequent myth passed around at gringo-parties and on gringo-web-boards that all of Mexico’s gasoline is refined “in the USA” or “in Houston”, but it’s really all just partly-informed blah-blah-blah. Facts: Mexico’s refineries are old, and known for very low efficiencies, for poorer quality final products, and for losing serious $$. Early 2014 PEMEX press releases said they were going to make major changes to try to improve profitability. I have a Ford Explorer 2002 and live in Mahahual north of Chetumal. Do I need to bring the fuel system cleaner like your example of Lucas cleaner and the fuel filter for the car from US? Also would it be a good idea to replace the tank fuel pump and if so shall I bring it from the states. Please let me know. Thanks. Is your Explorer running OK? If it is running OK, then you don’t need to replace the fuel pump. If it is running poorly, rough acceleration or hesitations, a good fuel system cleaner may fix the problem. The 2 cleaners shown above are sold here in Merida at our auto parts stores. Auto Zona carries them. When fuel pumps start to fail, your cars motor starts to stall briefly, may run very rough at medium and higher speeds, may shut off completely and not start, yet may then start OK after the car sits for 10 min – 30 min. 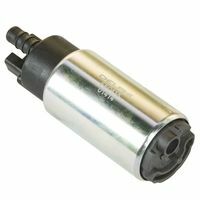 Re parts: We have found both fuel pumps and filters for Fords at good prices here in Merida, but I don’t know about good access to parts across Q. Roo, other than Cancun, PDC, and Chetumal. 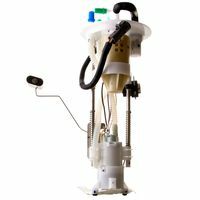 Thank you for your response about the fuel pump. I will ask a friend of mine who’s in Mexico now to check it out and see if There seems to be a problem with it. Do you know if AutoZone and Chetta mom has the fuel pump and the filters if I need it or should I bring it from New York. Thank you for your response. If Auto Zone in Chetumal is out of stock on the pump, they can bring one in from Merida, Vera Cruz, or Mexico City. I think someone has to call to find out whether they have one in stock (983) 833-0330. I believe your 2002 Ford Explorer has a 4.0 L V6 – which is a very common motor here in Mexico. It’s the same motor that my (and other) Ford Ranger pickups have. That means the Ford Ranger V6’s very common fuel pump should fit your Explorer. Note that because the fuel tank on the Explorer is different than the Ranger’s fuel tank, the electric PUMP is the same, but the overall total fuel tank sending-units/”pump-modules” are different between the Ranger and the Explorer. This means a mechanic might have to change just the electric-pump – removing your old pump from the “pump-module” and installing the new pump into your “pump module”. Hi Steve. Thanks for your information about the fuel pump. I’ll have my friend check with a mechanic in Chetumal and if there is a need for it, I’ll buy it in New York before I leave in the beginning of July. I heard that the cars in Forld built in Mexico are different from the ones built in Mexico and therefore the parts are a bit different and may not fit well. What do you think? It’s a good and interesting observation about different parts sometimes used on the US vs. Mexican versions. The US drive train (motor & transmission) on Rangers (and Explorers) come from the USA/Japan for US Rangers, and from Argentina drive-train for Mexican Rangers – which partly explains why some parts are the same, and others are different. Having said that, the Mexican Ranger parts (purchased here) have ALL fit great on our ’96 US-made Ranger: A/C compressor, starter, clutch master cylinder, bearings, water pump etc. On the other hand, our lab’s two 2006 Mexican Rangers use an odd Prestolyte starter motor – but the Mexican Auto Zone stores stock the US starter, and their Mexican parts catalogues show the US starters (but NOT the Mexican Prestolyte brand starter_) ??? I think a check of a NON-Auto Zone parts store catalogue might show if the same fuel pump is used on both American and Mexican Explorer Sports. Really, if you get just the pump, that pump (whether Mexican or US) has the same fuel pressure and fuel volume specifications, so if you get the “wrong” pump, your mechanic should likely be able to retrofit the new pump onto the old “fuel pump module” (with a little ingenuity). **Due to the “odd” parts issues, most Mexican parts stores have you bring in the old part, and they match it to a new part – since the parts-books and parts-computer-lists are just wrong sometimes. ¿So, is all of Merida going to switch to Premio after this? MeridaGOround: No guarantee that Premium is safe, though our CRV drank deeply from the Premium pump at its last fill up. Reminiscent of the USA in Wyoming and also back in the 1960’s when US rivers caught fire from paint and solvent disposal. Well, I just bought my first bad gas, and it was premium gas, from a station in Santa Ana (c.47). We then drove to Plaza Dorada (about 5 miles). The vehicle felt sluggish. On the way back, we turned on the A/C, and the van almost lost power. So I turned the clima off, but the vehicle continued to choke and fart all the way back to the station where it came from. I complained to the manager, hoping to protect other buyers. She was not at all interested in hearing my story, which I felt duty bound to tell, to prevent them from selling this swill to anyone else. I asked for the complaint book (libro de reclamaciones). She said they didn’t have one — probably a lie. She told me to go tell it to Profeco. HEADS UP, folks. Now I’ve got to change my station, and my fuel filter, adding some fuel treatment in hope of thinning the sludge. Dear fellow readers — please share this on fb and elsewhere, as I can’t do so. Labor Law for Household Employees in Mexico - What must we pay? What should we be doing? The Christmas Story … revisited. 2017 Holiday Season Pay Rules for Mexican Workers ~ Aguinaldos !